Westminster W Industrial & Residential Window Cleaning | Quality Property Care Ltd. This service is not hourly based, meaning that you book us per window, we leave once you are pleased. Maintenance on all of the windows to be cleaned should be completed in order for us to effectively clean the seals, glass and frames. A minimal callout service charge of 35GBP does apply, but, if you book us in advance you will have a lower cost. You can contact us for a same-day cleaning, during bank holidays and weekends at no extra charge. 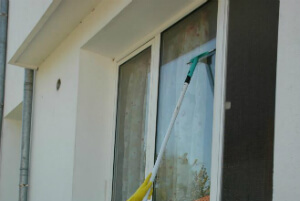 For us to be able to clean effectively there must be a clear access to the windows and a parking place within 30 meters on the same side of the property as the windows. We are unable to clean wooden window frames and sills with our water-fed system, or we might damage the glass and paint. We work for shops, offices, residential homes, restaurants, tenants, landlords, property managers, public buildings, libraries and a range of other clients. We are also providing you an interior window cleaning job which can be combine booked with the outdoor window cleaning service. At a lower rate you can book both and receive your home or office windows cleaned along with your gutters and conservatory roof and windows. To effectively clean inside we use a qualified grade squeegee, protective gloves, a ladder, a bucket and a special detergent mixture. The cleaning agent is applied then left to react with any greasy or dusty stains on the inside of the window. After that it is scraped away with the squeegee leaving your windows clean. Quality Property Care Ltd. provides commercial windows cleaning service and domestic windows cleaning to all businesses and residents in Westminster W and the region. 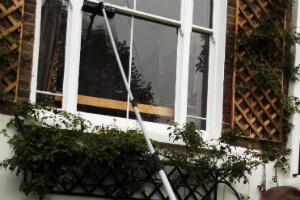 The window cleaning is carried out by very well trained, vetted and skilled windows cleaners, who use the telescopic water fed poles to first wash off and if necessary scrub off the dirt, and then to rinse anything off. If the frames and sills are from PVC, they can be washed too. The purified water contains no minerals or residue, so it is kept to dry naturally and leaves no spots or lines. Plus, it helps guard the windows from dust accumulation for longer. No ladders are used and no manual scrubbing, so there is no peeking inside your home or office by the cleaners. The firm Quality Property Care Ltd. can deliver you higher floor window cleaning through the specialised rope access windows cleaning teams. They will clean all windows over the 4th floor.Also, the company offers indoor window washing as a distinct service, or as part of regular or commercial cleaning and one off residential cleaning.The cleaners will wash the windows in all kind of business properties and all kind of home properties with the help of squeegees, microfiber cloths, professional and safe glass cleaning solution, and with the help of ladders whenever necessary. You can combine the indoor and outdoor window cleaning with the professional curtain cleaning provided by the company as well, for an even more amazing effect. Do not waste time, but contact us on 020 3746 4287! Get a 100% free quote right now! See our budget friendly price list and make a booking for safe and efficient window cleaning in Westminster W today!